Most of you already know I signed up as a direct sales consultant for Norwex shortly after Malachi was born. I still think I’m a little crazy here, but I’ve been having a lot of fun, doing parties and events. Small tot just comes along with me and he’s a great ice-breaker! 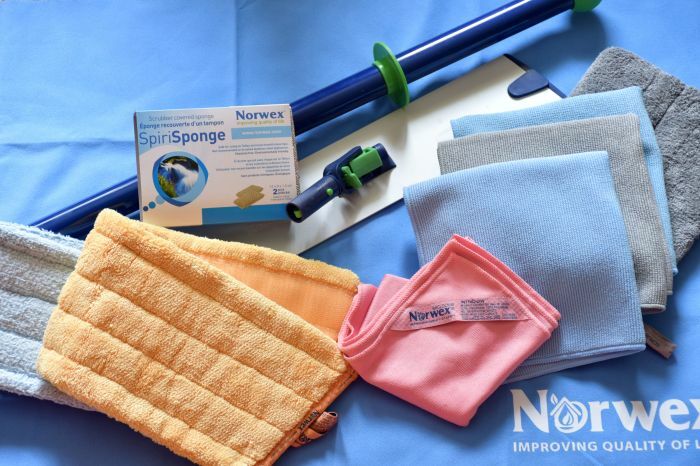 I don’t share a lot about Norwex here, but on occasion something comes up that’s just too good to ignore! The Norwex hostess benefits are honestly some of the best I’ve ever seen and that’s one reason I wanted to become a consultant. I love helping people get free stuff! This month is Mop Month. Meaning parties who hit $550 in sales ($550 – $600 is the average party size) will receive a free mopping system! Actually, you earn more than just the mopping system! Other items like our envirocloth, polishing cloth, kitchen cloth, body cloths and all sorts of other fun things are also part of the hostess rewards. $55 in host credits to spend however you please! Larger parties earn even more rewards. So your party could also give you the Rubber Brush, Fluff and Tumble Dryer Balls, Laundry Detergent, Body Cloths, Dusting Mitt, and even more host dollars to spend! I love doing in-home parties (face to face is the BEST!) but also enjoy Facebook parties. I would be thrilled to help you host a Norwex party and earn free Norwex goodies. Don’t think your friends would buy, but you still want that mop? Order before the 20th and you will earn tickets for a mystery hostess party. All tickets will be entered into a randomizer and a winner drawn to become the hostess and get all the goodies! Bonus!!! The first 3 people to order will earn double tickets! I will draw 3 winners. 1st prize is ALL of the hostess goodies from this party! Mystery hostess parties are a lot of fun and if there are enough orders to make 2 $550 parties I will draw double winners! I thought you might say that. I created a video this spring using 3 of our most popular products to clean my blinds and windows. I took a 15 minute job and chopped it down to about 5 minutes! The three items I used are the Envirocloth, Window Cloth and Dusting Mitt. 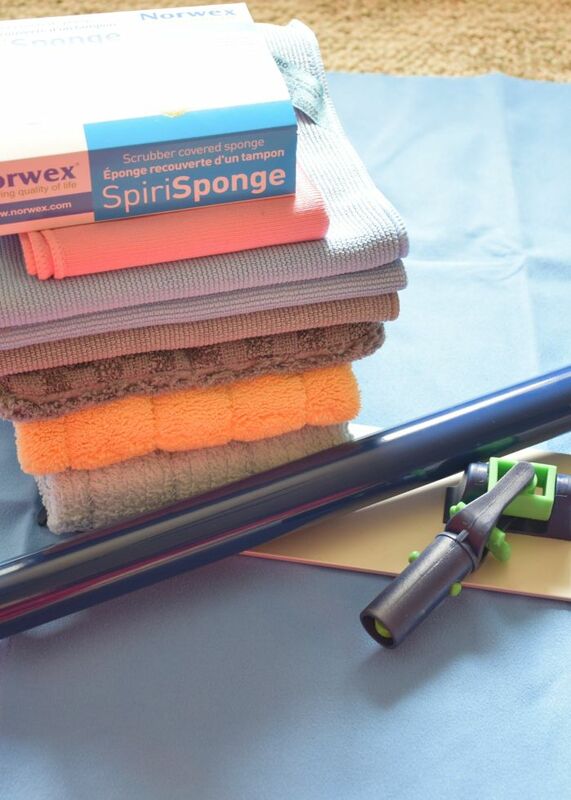 Purchased separately they cost just under $55 and will replace your cleaning solutions and wipes, polishing sprays, dusting sprays or swiffers, and paper towels. Buy them in the household pkg and save $4, AND earn 5 tickets for the mystery hostess drawing! Here’s the party link and remember, ALL orders placed through the 20th will earn you tickets that will be put in a drawing for the mystery hostess!